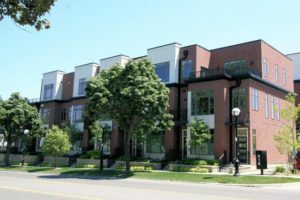 With a fantastic downtown Ann Arbor location, 414 N. Main is a collection of custom condominiums with outstanding features. There is currently 1 unit listed for sale and so far this year, 2 have sold. $839,900. 414 N. Main #8, Ann Arbor. 1517 square feet with 2 bedrooms and 2 baths. $1,075,000. 414 N. Main #9, Ann Arbor. 2053 square feet with 2 bedrooms and 2.1 baths. $699,000. 414 N. Main #4, Ann Arbor. 1434 square feet with 2 bedrooms and 2 baths. There have only been 2 resales since the complex was constructed in 2015. The average sale price for these units is $887,000 with an average price per square foot of $506.00. Keep up-to-date with what’s for sale and condo values on the 414 N. Main webpage here. And for any questions you have or if you’d like to be instantly notified when new listings come to the market, contact us at The Bouma Group, Realtors today at 734-761-3060 or email info@bouma.com. View more downtown Ann Arbor Condos here! 2,171 sq ft with 3 bedrooms and 2 and a half bathrooms. 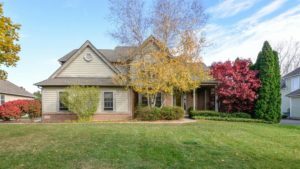 The large 2-story foyer leads you right into the vaulted living room with gas fireplace on one side and the formal dining room with nice moldings on the other. The large eat-in kitchen has lots of room for the family to gather and be together, opens to the living room. The expansive master suite has hardwood floors, vaulted ceilings, and a large spa-like bathroom as well as it’s own private study or flex room. The nicely landscaped backyard has a nice brick paver patio with lots of room for entertaining. View photos and amenities for Links at Stonebridge.